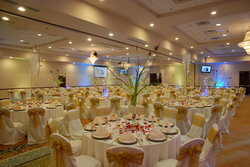 Stay just steps away from your event at Waterford Banquet & Conference Center, Chicago’s premier banquet hall. Plan your large-scale event with over 12,000 square feet of indoor meeting space and 20,000 square feet for outdoor receptions to work with. 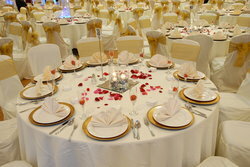 The Waterford is known for its sophisticated ambiance and excellent service from a staff focused on the small details that will make the biggest difference during the planning process of your event. 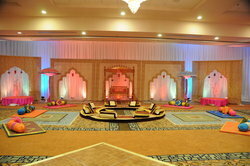 Fill out our Meetings RFP to start planning your event or conference today! Fill out our form to plan your party today! 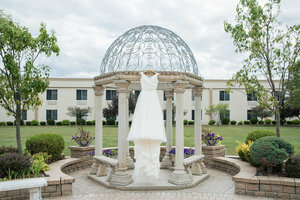 The Waterford is the perfect venue for weddings! 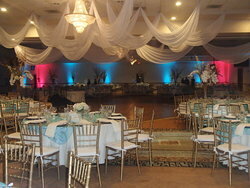 Choose a beautiful setting with quality services for your special day here at Waterford Banquet & Conference Center. Waterford provides the perfect harmony between personalized planning and a commitment to creating receptions that fulfill your dreams. Whether you’re hosting an association meeting or a large trade show with exhibitor booths, Waterford has the space and dedicated staff to assist you with your event. Located on the border of Elmhurst and Oakbrook, Waterford Banquet & Conference Center is close by the I-88 Tech Corridor, local Chicago airports, and many Fortune 500 companies. 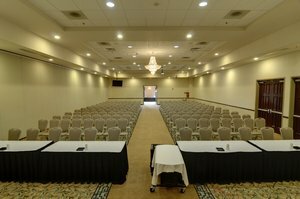 There are five enormous conference rooms and dedicated corporate meeting packages to help you plan your professional event with efficiency. 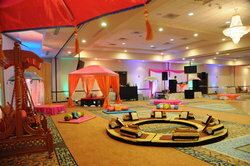 Paired with the latest audio-visual equipment and on-site catering, it’s never been easier to plan a large event for your company. Learn more about our Corporate Packages. Our upscale lodgings are your oasis at the end of the day, and Clarion Inn Elmhurst-Oakbrook provides a variety of convenient services such as our indoor pool, Bistro C restaurant, and local shuttle service. 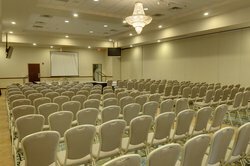 Your group will love the warm hospitality of our contemporary hotel, and Waterford Banquet & Conference Center is conveniently attached to our property for your Elmhurst event.